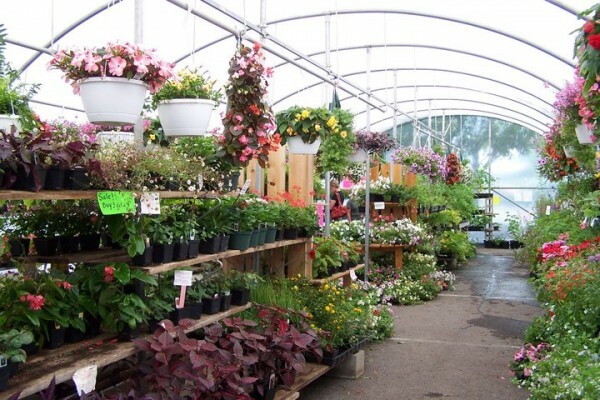 Ardry Farms in Howard is well-known by farmers market fans, as well they should. They have been a farmers market presence in Central Pennsylvania for more than 80 years, selling a wide variety of local produce and wonderful baked goods. This time of year, you can find pumpkins sold by them at North Atherton Market, Bellefonte Farmers Market, and Boalsburg Farmers Market, including varieties that are good to eat. 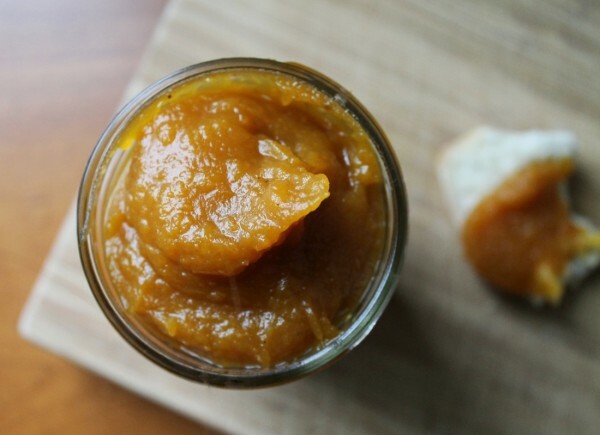 Along with pies, you can also make other tasty things with pumpkins, including pumpkin butter. Many people rave about Trader Joe’s pumpkin butter, but Andry Farms has a recipe for it that is even better than ol’ TJ’s. And, it’s very easy to make! Editor’s Note: Recently, PASA sent out a letter requesting farmers to take a survey on how they are using untreated or raw manure on their farm. Given the environmental importance to the local food community (and beyond), we are sharing this letter here. If you are a farmer, please take time to read the following and then participate in the survey. Thanks! PASA and the National Sustainable Agriculture Coalition (NSAC) are looking for information to better understand how farmers are using untreated or raw manure on their farms. We’re asking for this now because the US Food and Drug Administration (FDA) is currently asking for information regarding on-farm use of manure, as well as existing scientific research on the subject. 30 days of rain: when my sister, a rising freshman at Penn State, arrived for her orientation during the first weekend of July, this is what they told her. While since that weekend State College has had some relief from the wetness—notably, Arts Fest weekend saw sunny skies and high temperatures—since then, some inevitable showers and storms have passed through the area. The continual precipitation not only poses problems for those people worried about a potentially frizzy hair day (me), but also for another, unexpected group: farmers. It seems strange that too much water could be an issue for food growers, but in fact it is a serious threat. Certain crops are susceptible to unusually wet weather, and depending on what a farmer grows, excess rain can destroy an entire yield. Kim Tait, from Tait Farm Foods in Centre Hall, tells me that when there is a lot of rain, tomatoes in particular are a cause for concern. 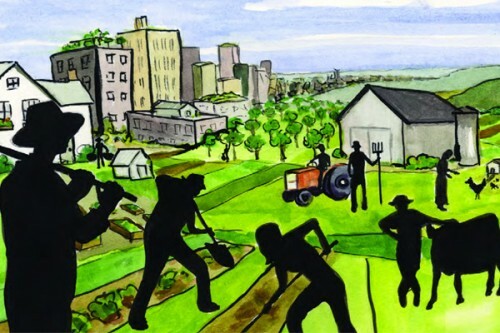 In 2011 Fair Food Philly and PASA (Pennsylvania Association for Sustainable Agriculture) teamed up to create a new annual marketplace for farmers and local food producers. The shared goal was to assist small businesses in growing their bottom line by providing a low-cost venue accessible to a diverse audience of potential customers. 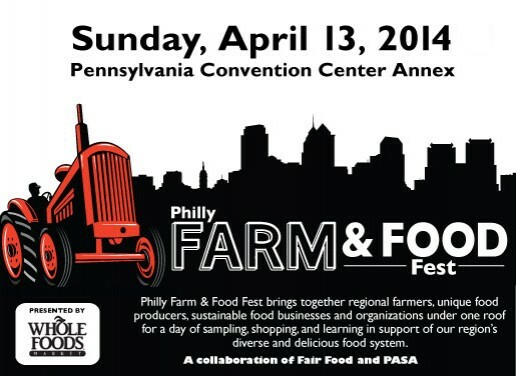 The event is the Philly Farm and Food Fest, and it is happening this year on Sunday, April 13 from 11:00 a.m. to 4:00 p.m. at the Pennsylvania Convention Center Annex. Fest is also a fundraising event for Fair Food and PASA, with proceeds going to support our non-profit educational and technical assistance programs for food producers. Tickets for the event can be purchased here. Next week is Local Foods Week! August is a month of cookouts, family gatherings, and finding creative ways to beat the heat. Did you realize that all the ingredients you need for your next summer get-together—mouthwatering burgers, juicy watermelons, crisp salads, and refreshing ice cream—are produced right here in Centre County? They’re closer than you think, and the growers are eager to meet you in person. Buy Fresh Buy Local® Centre County Chapter is presenting Local Foods Week from August 3rd through August 10th, which will offer events for the whole family to explore and connect with the county’s vast agrarian offerings and sustainability practices. 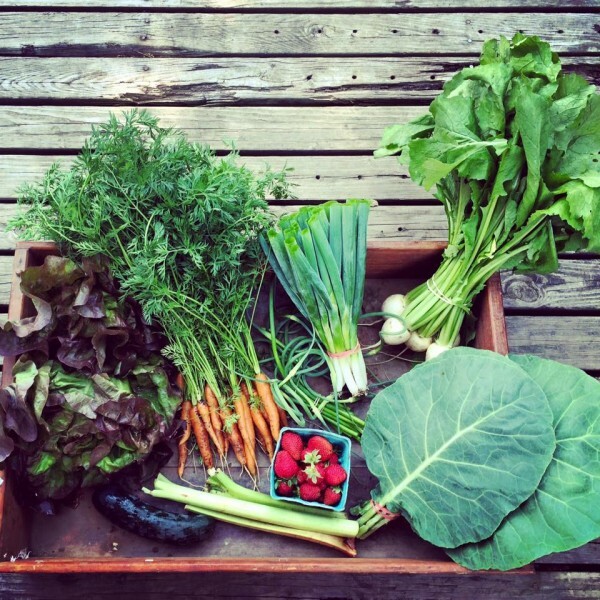 The week’s happenings will appeal to anyone with an interest in local foods at any level, from backyard gardening, homesteading, or cooking with sustainable ingredients right up to larger scale farming. Even if you don’t have a green thumb, Local Foods Week will help you and your family appreciate and understand what it takes to bring your meals from the farmers’ fields to your fork. 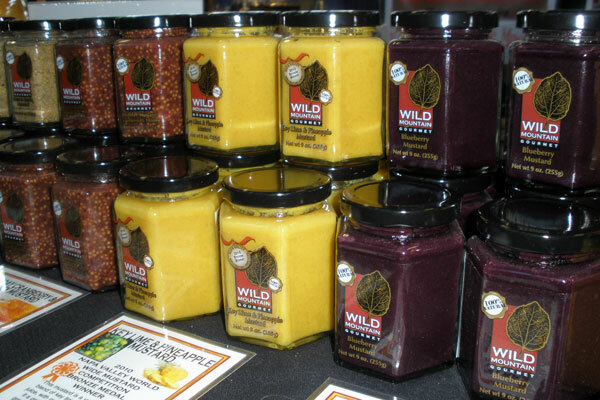 Continue Reading: Next week is Local Foods Week! Oh, man! A rabbit ate half your annual bed…your tomato plants got trashed by a storm…the neighbor’s dog dug up your favorite herb plant…too late to plant something new now, right? Actually, that’s not the case. You can can still plant flowers, vegetables, herbs, etc. 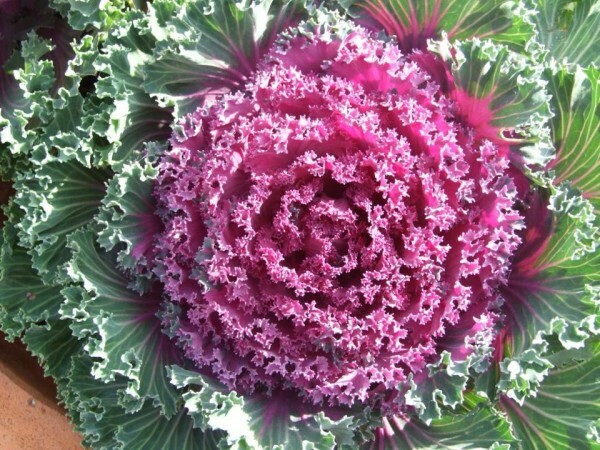 and still get beauty and flavor from your 2013 garden. Back in the early ‘90s a small gathering of Centre County “kindred spirits” came together around the idea of founding an organization that focused on a variety of sustainable farming practices, addressed issues family farmers faced, and filled a need for those who wanted to support “alternative” agriculture, as some may have called it back then. Through the dedicated efforts of this group (many of whom still live, work, and farm in Centre County), the Pennsylvania Association for Sustainable Agriculture (PASA) took root over 20 years ago and today continues to flourish throughout Pennsylvania. 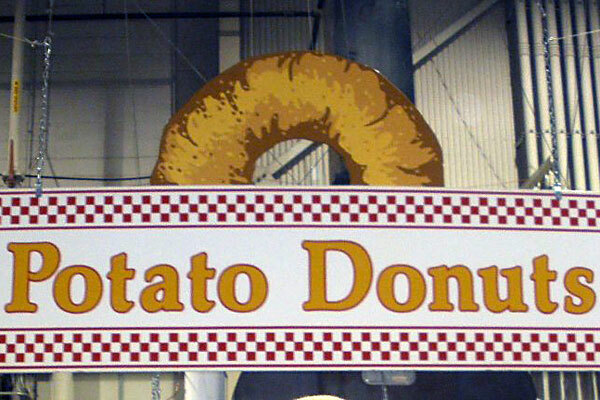 Mary Miller of The Fork and The Road shares her final thoughts on the Pennsylvania Farm Show. If you missed the big event this year, mark your calendar for next year: January 7-14. Mary Miller of The Fork and The Road shares the second installment of her visit to the Pennsylvania Farm Show. 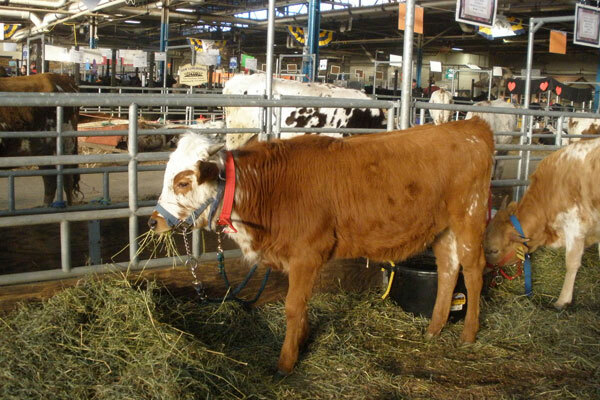 The 2011 Pennsylvania Farm Show concludes this Saturday after one full week of livestock contests, horticulture exhibits, wine tastings, country music, and culinary cook-offs. Mary Miller of The Fork and The Road reports from the annual event.